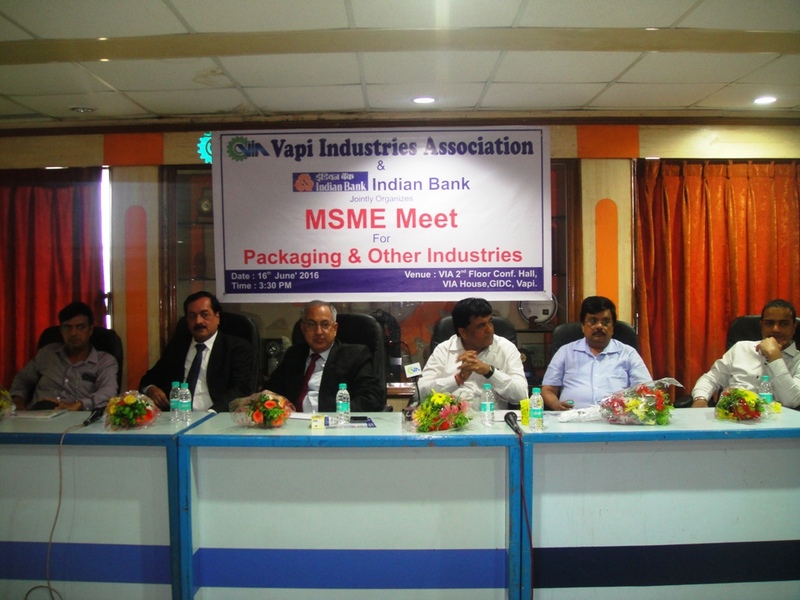 VIA and Indian Bank jointly organised MSME Meet at VIA 2nd floor conference hall on 16.06.2016 at 3:30pm. Shri Hitendra - Vice President, Shri Parthiv Mehta - Hon. Secretary, Shri Magan Savalia - Jt Secretary, Shri Hemant Pant - Chairman Banking Committee, Shri Gautam Shah, Shri Ketan Shah, VIA Committee members were present in the program. 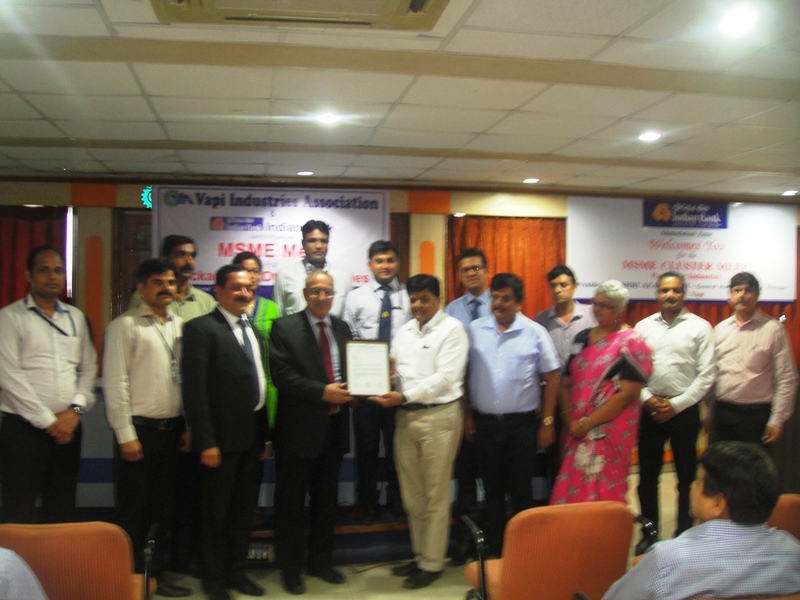 Shri Azad Singh - GM & Zonal Manager, Shri Prakash Chandratre - AGM, Shri Anup Kumar - Branch Manager Vapi, and Staff members of Indian Bank were also present. 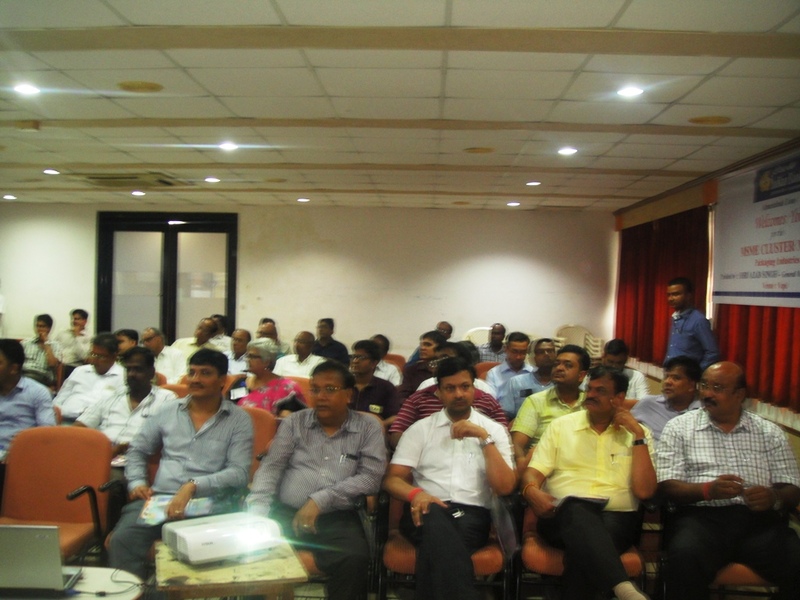 A presentation was shown especially for packaging industries and loan procedure, availing loan at low interest rates for MSME industries was explained. In the meet a loan disbursement was made to a plastic packaging industry. This meet was very beneficial for industry members who wish to avail loan or want to expand their industry and 80 people took advantage.